From Summer 2019 New Attraction at Tokyo DisneySea Soaring: Fantastic Flight This major attraction will open at Mediterranean Harbor in Tokyo DisneySea. Based on the popular attraction, Soarin’ Around the World, which has been enjoyed by Guests visiting the Disney parks outside Japan, the attraction at Tokyo DisneySea will feature original scenes and the newest visual images. 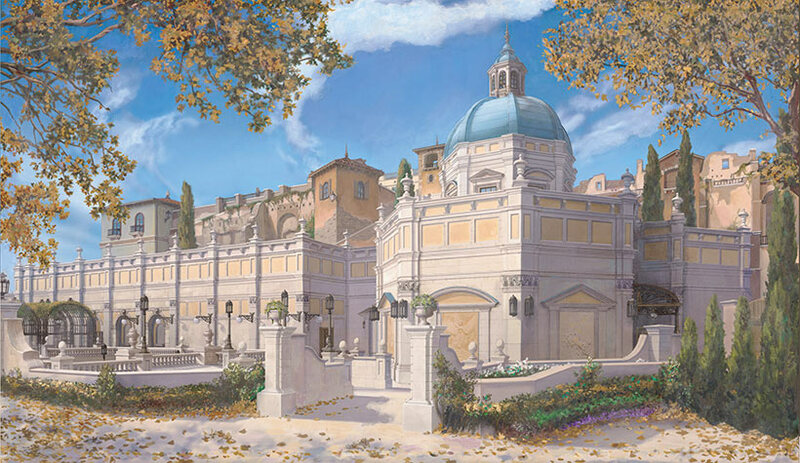 Guests who visit this attraction overlooking Mediterranean Harbor will be able to go on a journey soaring over famous landscapes of the world, while experiencing the breezes and scents that match the various scenes. 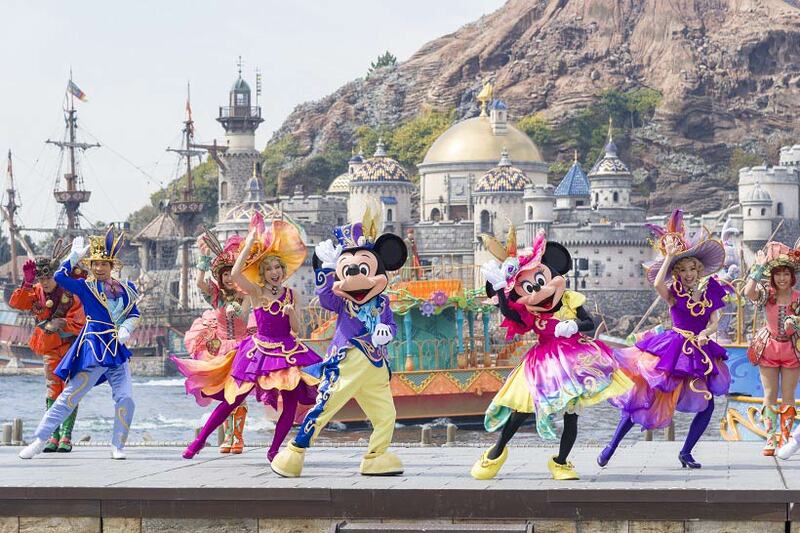 From Summer 2019 a new stage show will be run at Tokyo DisneySea: “Song of Mirage”. In this show presented at the Hangar Stage in Lost River Delta, Mickey Mouse and his Disney Friends go on an adventure to seek out the Rio Dorado (Spanish for “golden river”) and its legendary city of gold. This show features an original story in a rousing live performance with impressive projection mapping. Note: With the introduction of this new show, “Out of Shadowland”, currently presented at Hangar Stage, will close on March 31, 2019. 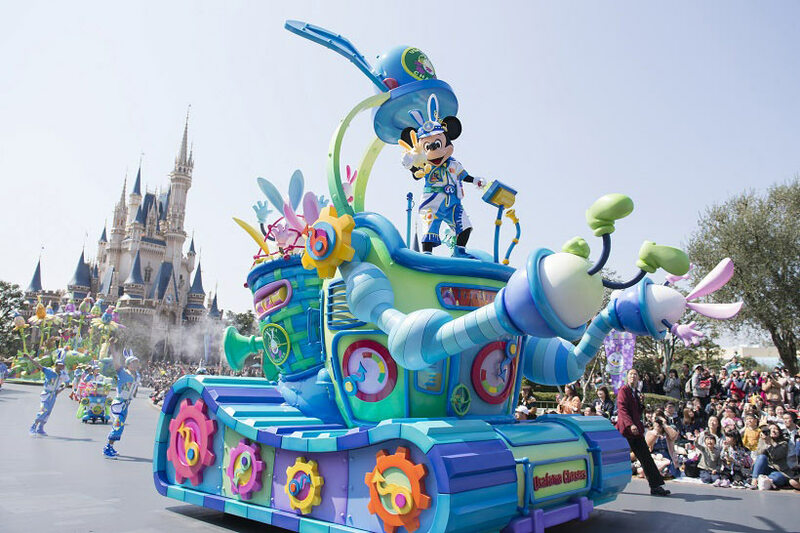 From April 4 – June 2, 2019 Easter will return to the Tokyo Disney Resort. 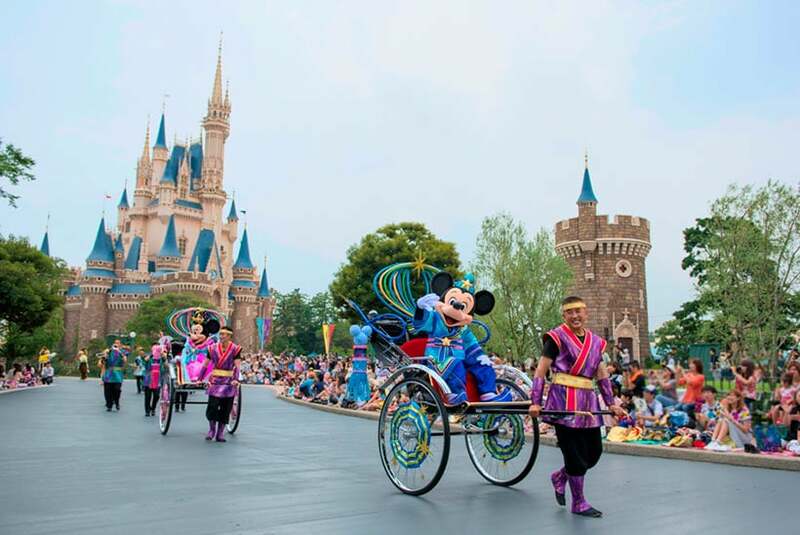 This regular springtime event will be held at both Tokyo Disneyland and Tokyo DisneySea for the first time in two years. At Tokyo Disneyland, the Easter egg characters with bunny ears, known as “Usatama,” are back again. Together with the Disney Friends, Guests can join these mischievous “Usatama” for some wacky springtime fun! 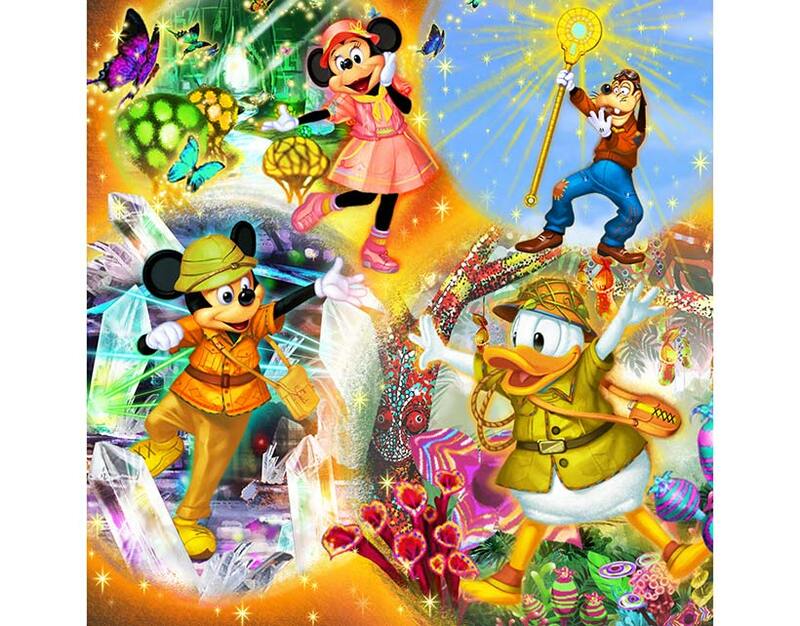 Tokyo DisneySea will offer a brand new theme for the event, so that Guests can experience a bright and colorful springtime atmosphere filled with excitement. Tanabata Days will be back at the resort in 2019 from June 6 – July 7. The Japanese star festival known as “Tanabata” will be celebrated in unique Disney-style at both Parks. At Tokyo Disneyland and Tokyo DisneySea, Mickey Mouse and Minnie Mouse dressed as Hikoboshi and Orihime, the two star-crossed lovers of this festival, will greet Guests. “Disney Tanabata Days” will feature traditional decorations where Guests can write their wishes on “Wishing Cards” to be hung at the “Wishing Place”. From June 6 to August 27, 2019 guests at Tokyo DisneySea Guests will enjoy the world of Duffy and Friends in this program that offers merchandise, menu items and decorations inspired by Duffy and his friends enjoying a bright summer day at a beach in Cape Cod. In the summer of 2019, a new event will be added to Tokyo Disneyland. From July 9 – September 1, 2019 “Donald’s Hot Jungle Summer” will be presented with a brand new theme of a colorful jungle, and will feature a stage show after dark in front of Cinderella Castle for the first time in six years. 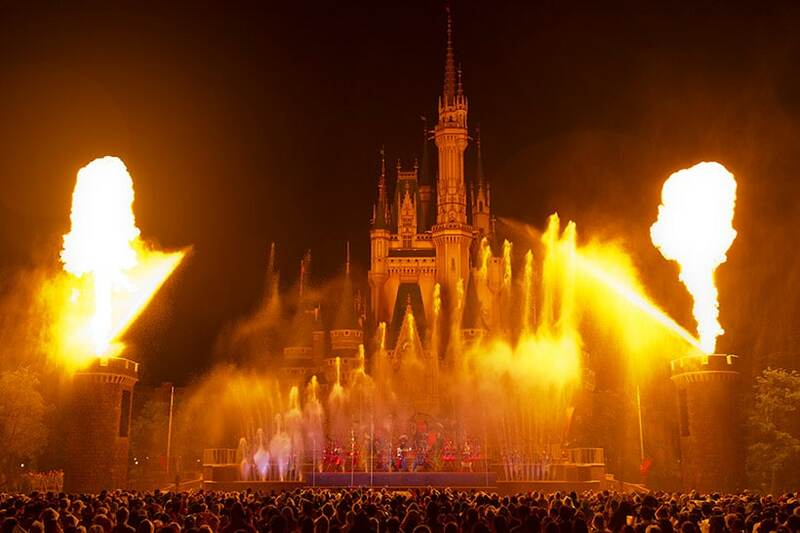 Donald Duck and the Disney Friends entertain Guests in this thrilling performance enhanced with tons of spraying water and fire. 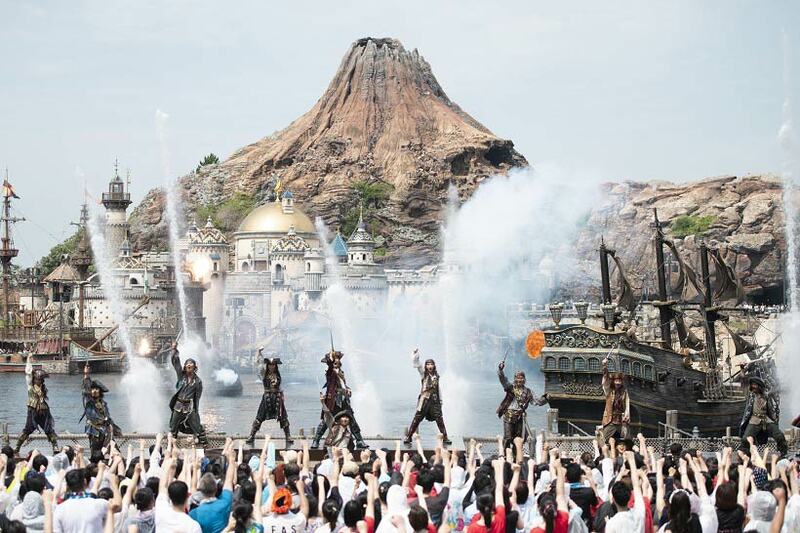 This special event brings the world of the Disney Pirates of the Caribbean film series to Tokyo DisneySea. At Mediterranean Harbor, Guests can enjoy a show featuring Captain Jack Sparrow, Captain Barbossa and their motley crew of pirates, as well as a variety of atmosphere entertainment presented throughout the Park. The pirate theme is also the inspiration for special merchandise, menu items and decorations, transforming Tokyo DisneySea into a swashbuckling world of pirate fun! 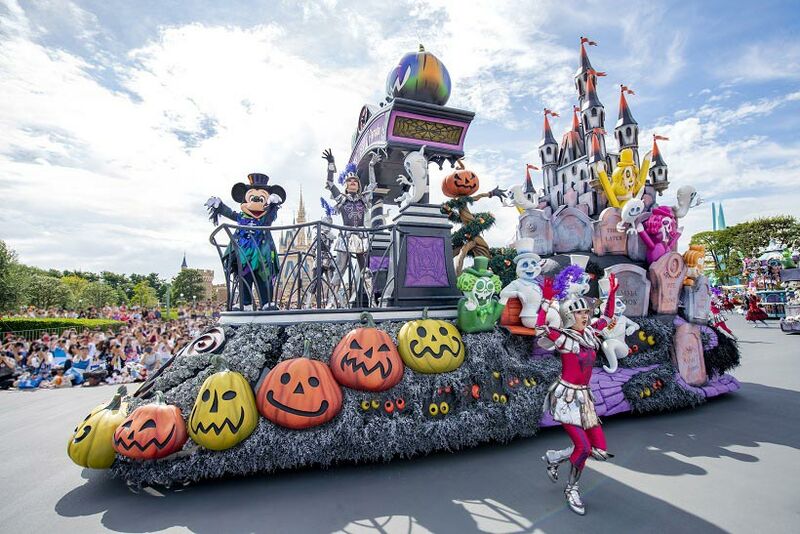 From September 10 – October 31, 2019, both Tokyo Disneyland and Tokyo DisneySea will be host to “Disney Halloween”. Each Park will offer in its own unique way a “Disney Halloween” event. At Tokyo Disneyland, the special event will be themed to a “ghost version of Tokyo Disneyland.” Halloween ghosts will welcome Guests to their spooky version of the Park. The special event at Tokyo DisneySea will feature a brand new theme, presenting a cool, but eerie Halloween atmosphere throughout the Park. 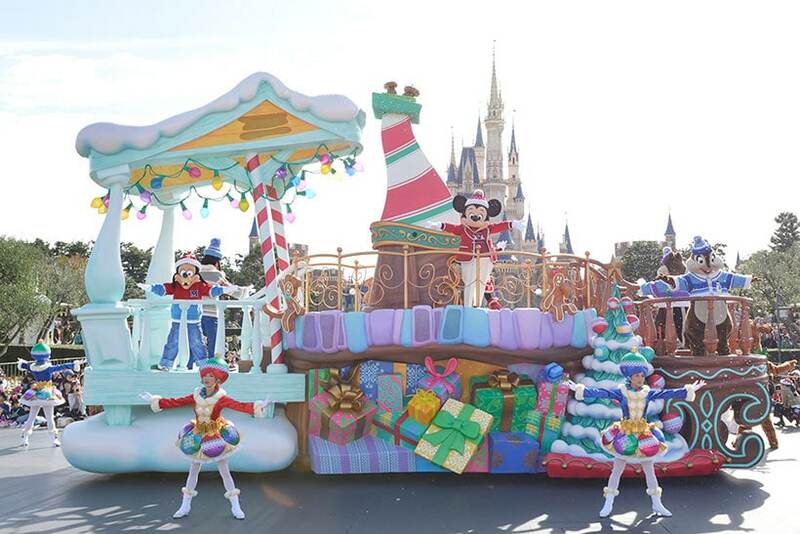 It is Christmas at both Tokyo Disneyland and Tokyo DisneySea from November 8 – December 25, 2019. Celebrate the New Year from January 1 to 5, 2020. Both Parks will celebrate the start of the year with colorful Japanese-style New Year’s decorations at the main entrances, traditional New Year’s cuisine and merchandise featuring the zodiac animal for the year. 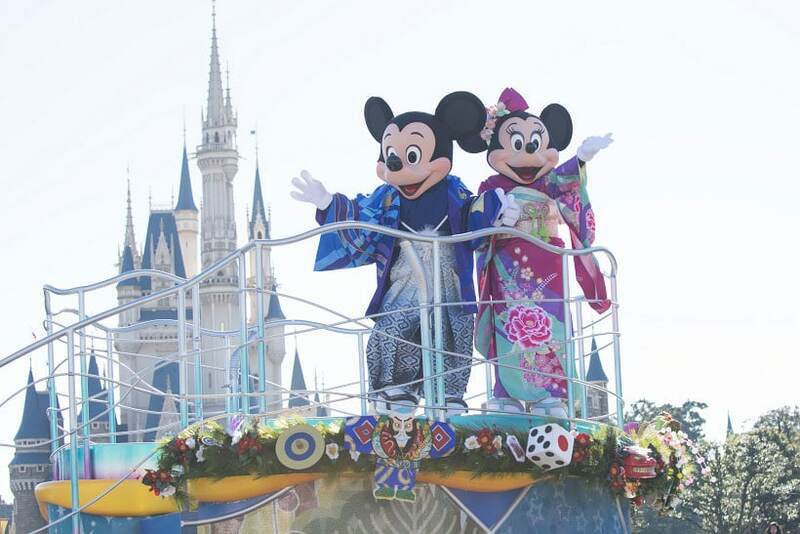 Mickey Mouse and his Disney Friends will be dressed up in kimono to welcome Guests in Japanese style. 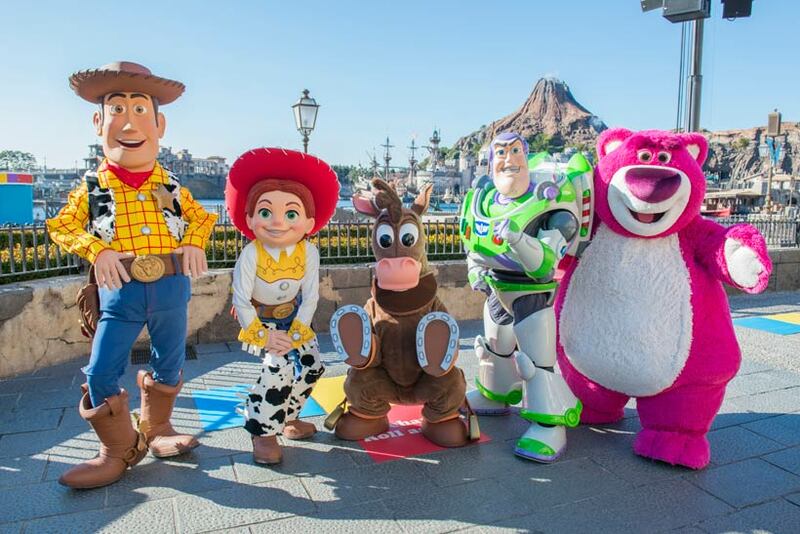 From January 10 – March 19, 2020 a Special Program at Tokyo Disneyland offers Guests the ability to have fun with the Disney Friends in this new limited-period program presented at Showbase, as well as related merchandise and menu items. Special Event at Tokyo DisneySea “Pixar Playtime” This special event will give Guests a variety of experiences themed to the world of Disney-Pixar films. Guests of all ages will be able to enjoy their favorite Disney-Pixar Characters in entertainment programs around the Park. Guests can also try the interactive decorations and become immersed in the world of Disney-Pixar films. Duffy-related Program at Tokyo DisneySea Guests will enjoy the gentle and heartwarming world of Duffy and his friends, in this program that offers merchandise and menu items, as well as photo locations where delightful keepsake photos can be taken. Photo: Tokyo DisneySea, Tokyo DisneySea/Pixar.